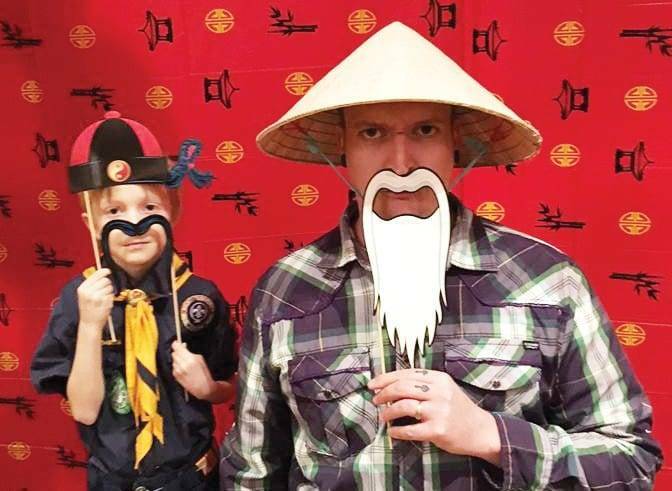 LIKE FATHER – LIKE SON … Joseph Rader and his son Mikel don the costumes at a recent Boy Scouting event. Sometimes, a person has to leave home in order to find out who they are in the big scheme of things. With some people though, they seem to have a fixed life vector from childhood. For Joseph ‘Joe’ Rader, it’s a combination of the two, under a constant refinement through faith. Joe is a member of the Hilltop Class of 2001. “I lived in West Unity for most of my teenage years with the Hands … Deb and Mike Hand. I was with them for my high school years. I was in foster care through them; they were my foster parents, and they’ve lived in West Unity for a long time.” Currently, he is employed as a counselor with the Bair Foundation, and resides in Brook Park, Ohio, with his wife of ten years Lori, their eight year old son Mikel, and their five year old son named Mason. © 2018, Tim Kays. All rights reserved. Be the first to comment on "Former West Unity Resident Joseph Rader Prepares To Release His Third Book"